I went to Pedals 2 People on Saturday and used their tools to remove the bottom brackets from the Specialized and the Fuji. 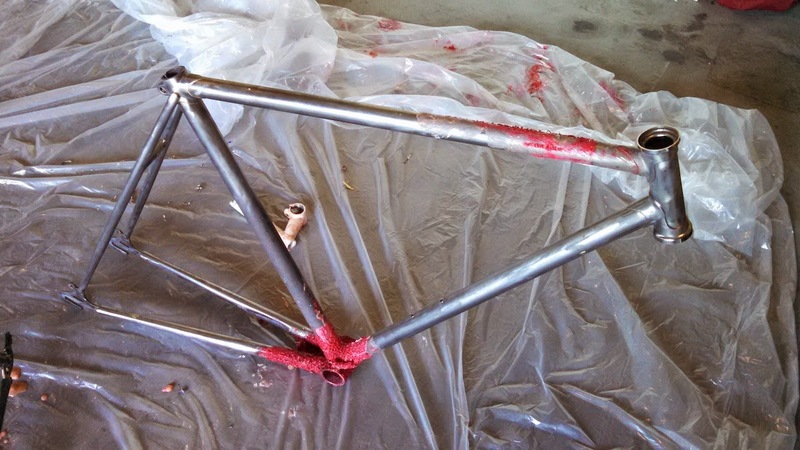 I had the Fuji almost completely stripped of paint so now I was able to remove the rest and start painting. 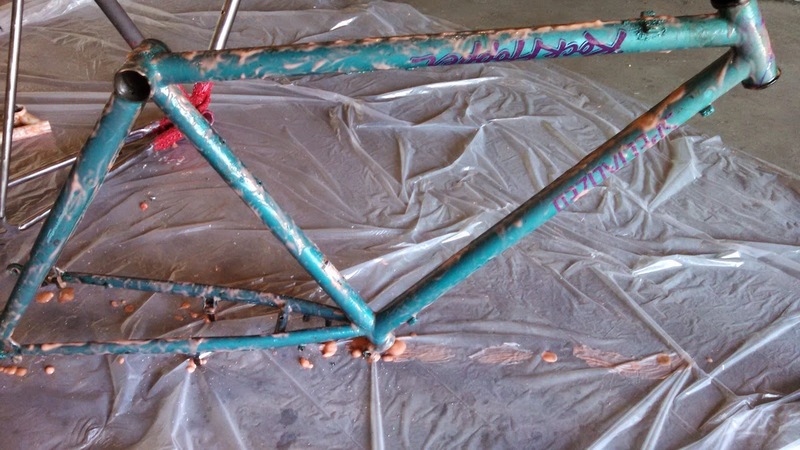 The Cistristripper was great in removing the paint from the Fuji. I used a wire wheel to get the stubborn bits off. Then I sanded with 400 grit paper. Last of all I washed the frame with Mineral Spirits. 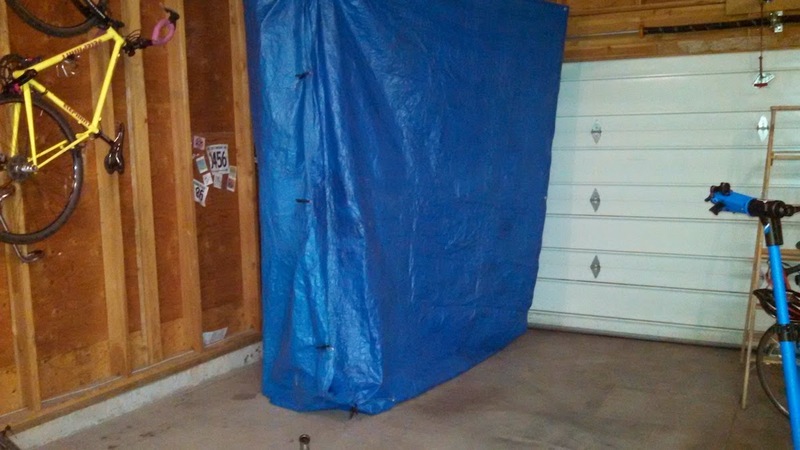 I hung the Fuji frame in my makeshift paint booth, which I changed during the day since I had the garage door open. The painting seemed to go well. It's important to resist the urge to hurry so you don't get runs or drips. The interesting part is coming up. I decided to go with orange and blue on the Fuji and I'm trying to come up with a design. I want it to look nice but since this is new to me, I don't want to do something complex and frustrating. Plus, art and design are not my strong suit so I got that going for me. Regardless, I'll gain experience and hopefully do something worthwhile on the Specialized frame. Cistristripper on the Fuji's remaining paint. 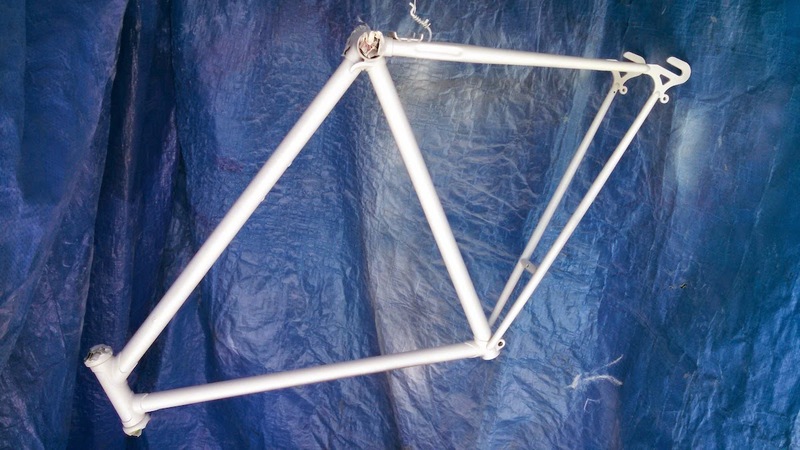 White primer on the Fuji.